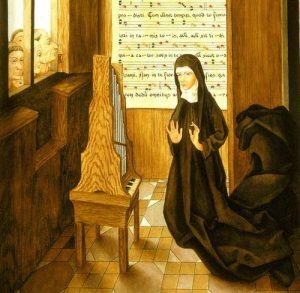 Hildegard’s eminent doctrine echoes the teaching of the Apostles, the Fathers and writings of her own day, while it finds a constant point of reference in the Rule of Saint Benedict. The monastic liturgy and the interiorization of sacred Scripture are central to her thought which, focusing on the mystery of the Incarnation, is expressed in a profound unity of style and inner content that runs through all her writings. We commemorate the 62nd anniversary of the death of the Blessed Cardinal Alfredo Ildefonso Schuster, Archbishop of Milan. 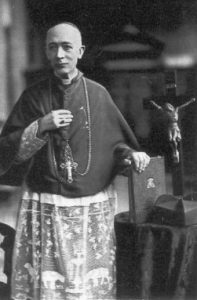 Cardinal Schuster was born in Rome in 1880 to German parents, entered the Benedictine Abbey of St Paul’s Outside-the-Walls. 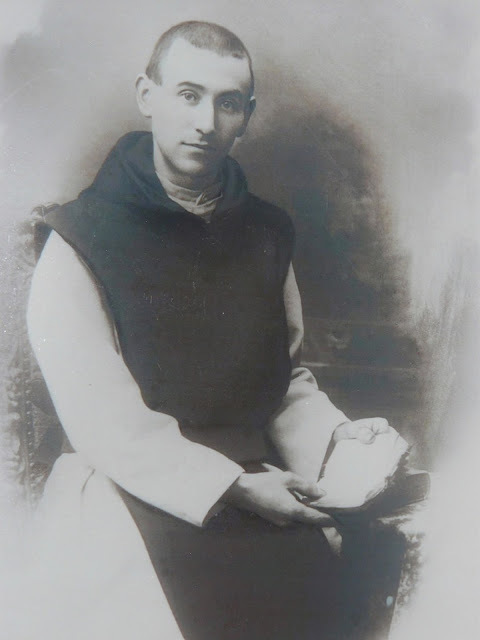 After ordination to the priesthood of Jesus Christ, he served his community as master of novices and prior before being elected abbot and appointed procurator general of the Cassinese Congregation of Benedictines (now the Subiaco-Cassinese Congregation. He is also served as president of the Pontifical Oriental Institute. In 1929, Pius XI named him to See of Milan, the same episcopal See as Saint Ambrose and St Charles Borromeo. Schuster had a rapid rise in the Church structure by being created a Cardinal less than a month after his appointment to Milan; he was consecrated bishop by the Pope in the Sistine Chapel. Schuster had several difficult years as the Shepherd of Milan with rise of Fascism and then advent of WWII. What is keenly recalled of Schuster as bishop is his solicitude of the people having visited every parish of the diocese five times, holding several diocesan synods, writing several pastoral letters and founding a seminary in Venegono. Monk or not, he was a true apostle for the good of the Church’s holiness and engagement in the world. The funeral Mass was offered by the Cardinal Roncalli, now St. John XXIII. In 1985, the cardinal’s his tomb was opened and his mortal remains were found to be intact; the monk-bishop-cardinal-man of God was beatified by Saint John Paul II on May 12, 1996. The relics were given for the veneration of the faithful in one of the side-altars of the Duomo. One of the things I treasure of Blessed Schuster is his scholarship in the Liber Sacramentorum, known in its English translation as The Sacramentary. It was written while he was Benedictine monk with the supreme reverence for tradition, adoration and intellect. With some things the volumes are dated yet the work remains an invaluble reference point for liturgical scholarship today. I have no memento to give you apart from an invitation to holiness. It would seem that people are no longer convinced by our preaching; but faced with holiness, they still believe, they still fall to their knees and pray. People seem to live ignorant of supernatural realities, indifferent to the problems of salvation. But when an authentic saint, living or dead passes by, all run to be there. Do not forget that the devil is not afraid of our [parish] sports fields and of our movie halls: he is afraid, on the other hand, of our holiness. Almighty God, through your grace, Blessed Alfredo Ildefonso Schuster, by his exemplary virtue, built up the flock entrusted to him. Grant that we, under the guidance of the Gospel, may follow his teaching and walk in sureness of life, until we come to see you face to face in your eternal kingdom. Blessed Ildefonso Schuster, pray for us! Blessed Pope Eugene III was Pope from 15 February 1145 to his death in 1153. The image here is that of the episcopal consecration of Blessed Eugene. 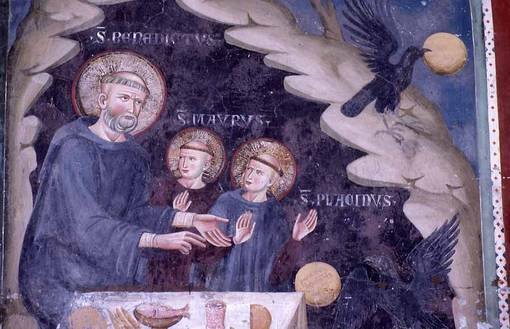 Eugene was the first Cistercian to become Pope. 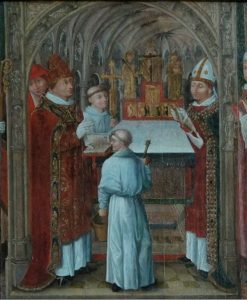 After he became a Cistercian he took the name of “Bernard” in honor of his friend, Bernard of Clairvaux. Never a shy man and passionate teacher, Saint Bernard wrote De consideratione to instruct him Eugene in papal duties. Father Bernard was appointed abbot of Tre Fontaine in Rome. Following the death of Pope Lucius II (+1145) the cardinals elected Abbot Bernard to be pope, who was not present at the conclave due to not being a cardinal. It is reported that ALL were surprised. He remained a Cistercian monk at heart. He was beatified on 28 December 1872 by Pope Pius IX. Thomas Merton wrote an essay on Blessed Eugene, “Blessed Eugenius III, Abbot of Tre Fountain, Pope,” Cistercian Studies Quarterly (2009) 44.2: 173-180. Almighty ever-living God, who chose blessed Eugene III to preside over your whole people and benefit them by word and example, keep safe, we pray, by his intercession, the shepherds of your Church along with the flocks entrusted to their care, and direct them in the way of eternal salvation. Through our Lord Jesus Christ.